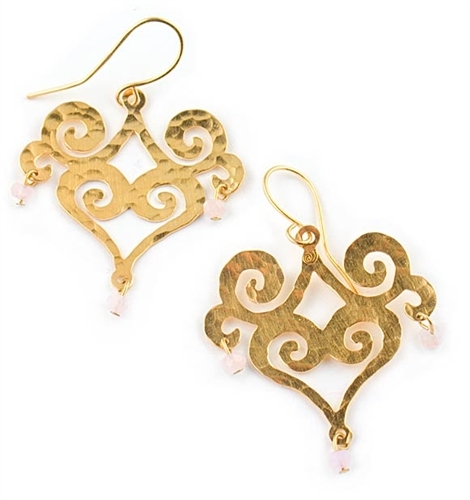 a dainty filigree shape measuring 38x38mm and three dangling pink quartz semiprecious stones. A unique pair of designer earrings easy to wear all day and can also make a wonderful gift. Exclusively in the UK from the Farfallina.net Jewellery Boutique.